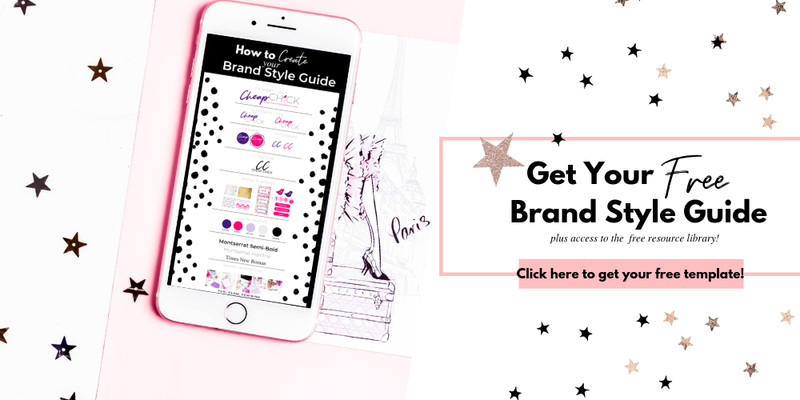 Brand Style Guide: Why you need it and how to create it! Think of a Brand Style Guide as your road map to a trustworthy, loyal, and genuine community that love and support everything you do! Yep that's a big claim for a little part of a big plan. However, if you think about it, your brand is what make or break you from getting the client, from getting that new subscriber, even from getting that new payment notification from that new customer! Your brand is the framework to you being successful as a business owner. Think of it as your Brand Bible, if you will. So what is a Brand Style Guide and Why do you need it? A Brand Style Guide is a guide to how a business presents itself to the world. It demonstrates the look, feel, and vibe of a brand. 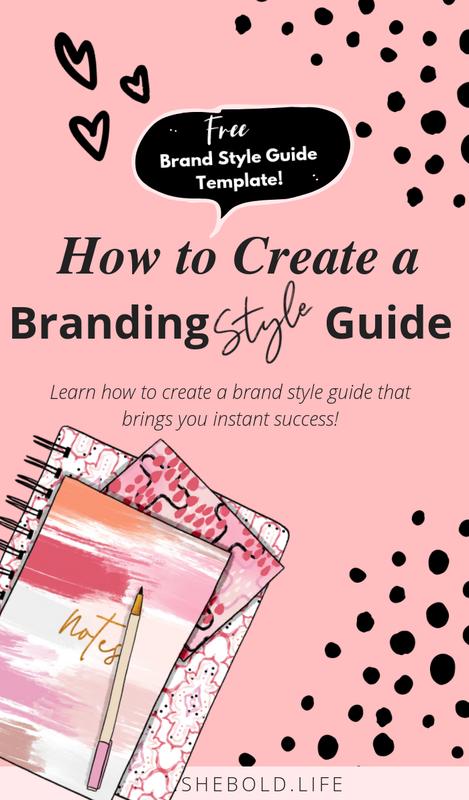 A Brand Style Guide is a simple yet powerful resource tool that can help you create consistency in your business. It creates memorability among your community. Nonetheless, so many of us push this piece off to the side without a second though...trust me I was that type of person. A brand style guide helps you to stick to just the elements that you have set for yourself. By sticking to these elements you create a consistent theme that attracts your ideal reader. Yep that's a statement for ya! However, it's true. Inconsistency will confuse and alienate your community. 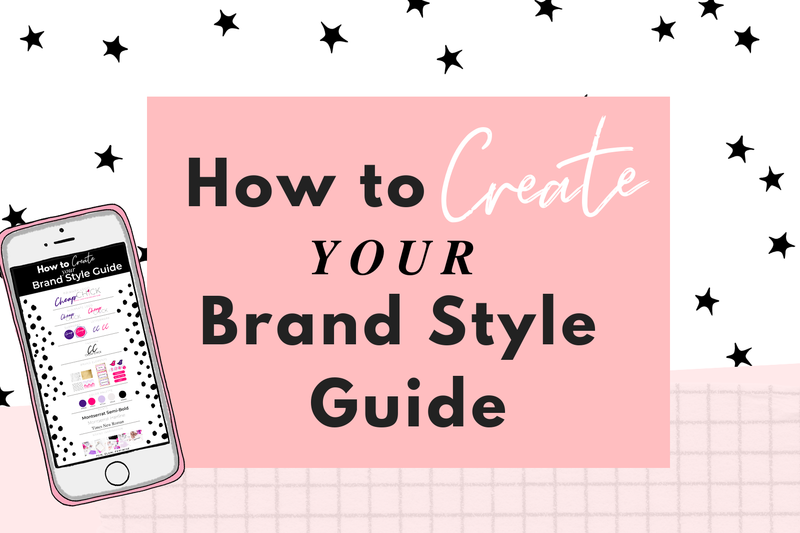 I want to dive a bit deeper and break down the anatomy of a brand style guide in order for you to make one that perfectly fits you! You know your brands mission, values, target client, and personality like no one else. You have it down to a science now, right?! Now it's time to look at how to create a Brand Style Guide. 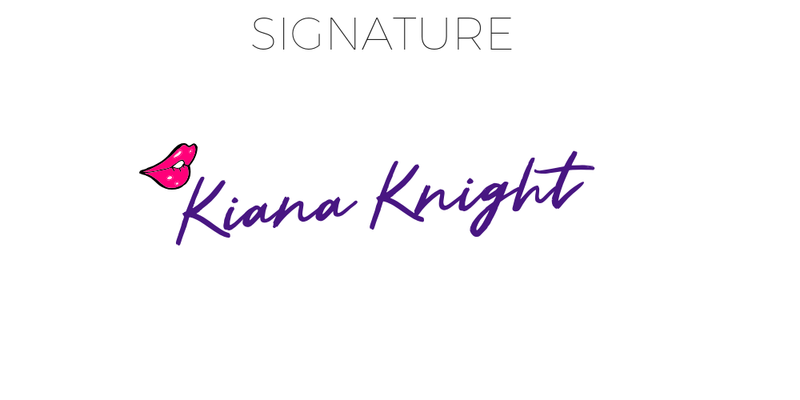 Check out a fictitious brand style guide for I created and let me just say I'm swooning...can this be my brand lol!!! 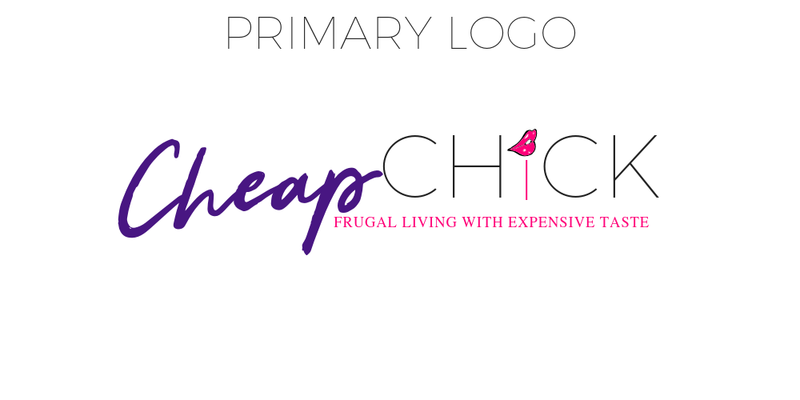 Your main logo will be your go to for your brand. This logo will be used most often for many of brand materials. 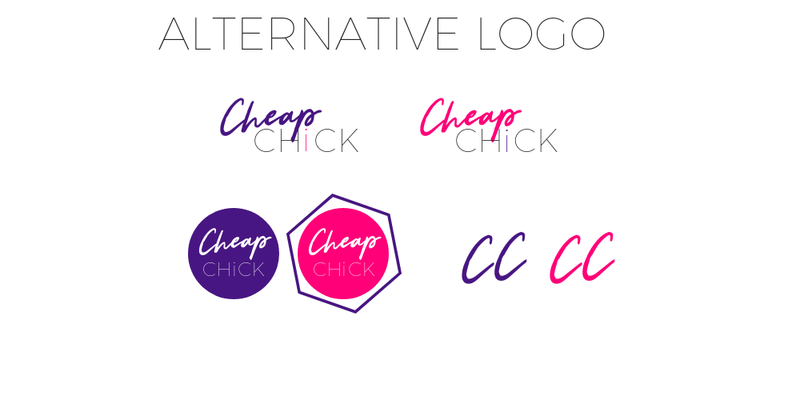 These are alternative logos should look similar to your main logo but with some variations transformation. These alternative types of logos can replace the main logo in certain situations where space or color is limited. Stacked, submarks and lettermarks are icons or symbols that are used as alternative logos for platforms where space is limited such as social media profiles, watermarks, stickers, pins, etc. It's usually contained in a circle, stacked, or abbreviated. 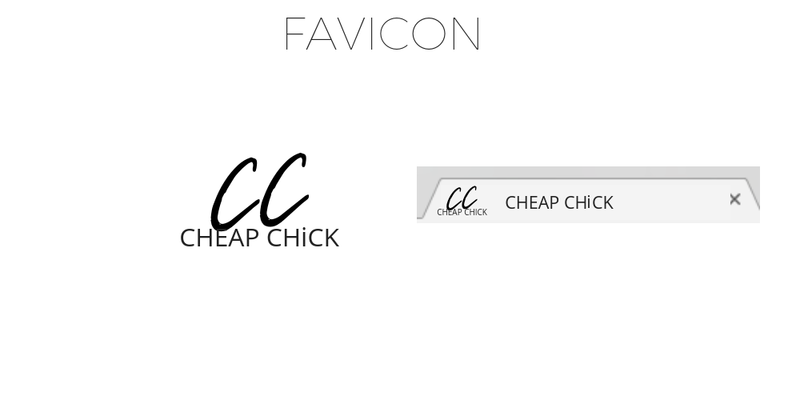 A favicon is a symbol that used to set a website's url apart. Make sure it is similar to the logos provide above for that consistent look. Your color palette will set the mood and personality of your brand. It's their first glimpse into what your brand is all about. Focus on 3-5 colors that match your brand's personality the best. Do not fall into the endless hours of searching about the meaning behind colors, it's pure 💩. Colors are subjective, cultural, and based on how we combine those colors to create a palette that speaks to our brands the most. 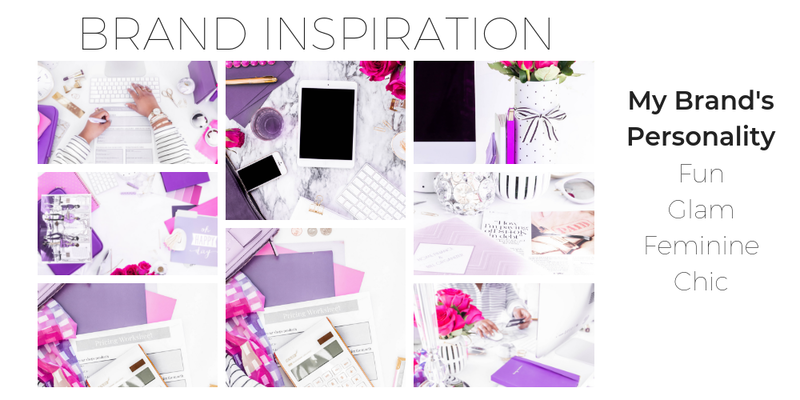 If you are looking to find the perfect color palette for your brand check out this post! This is where you specify the type of typeface your brand uses and how it is used. Focus on 2-3 types of fonts that add personality to your brand. Your main font, this is the font you want to be easily readable across all platforms and used for instances like your heading in a blog posts. Your supportive font. This will be used for subheadings. Your body font is used for paragraphs. So make sure these are easily readable . 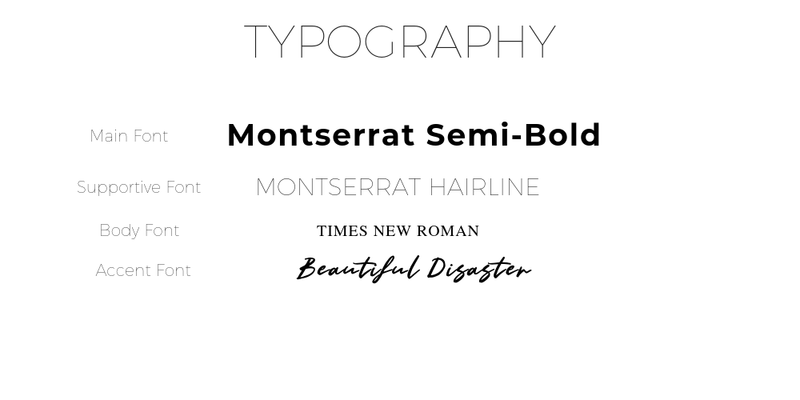 You will use these fonts in all of your brand materials. Optionally your Accent Fonts are used for a year or two and are changed often depending or trends. These are usually not in the brand style guide because are now a permanent fixture of your brand. Also while your edit add your 3-5 keywords that describe your brand so that you can have a visual representation of how you want to present your brand. I love creative market to find some of the most gorgeous fonts. The Beautiful Disaster Font came from a collection from Blog Pixie that I'm still swooning over! Or if you are looking for free fonts, Dafont.com has always been my go to! Textures and patterns are all part of the brand elements. These are extra additives that give your brand extra pizzazz, however, it's not necessary. These elements are great for backgrounds, button or icons. However these elements must be kept the same on each platform to create consistency. 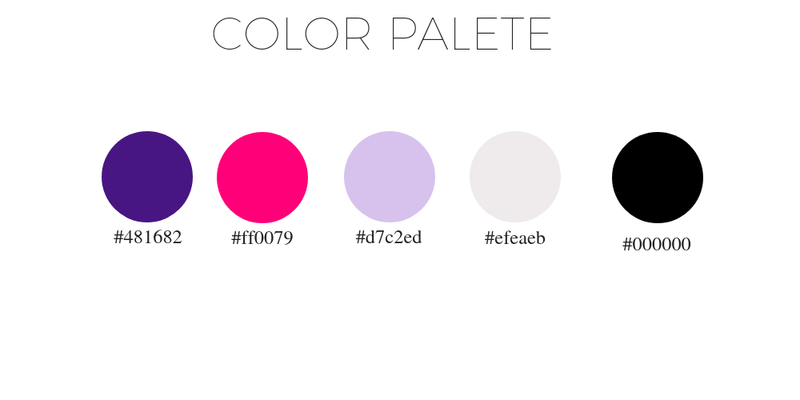 These can be perfect to accentuate colors that you don't use very often in your color palette. 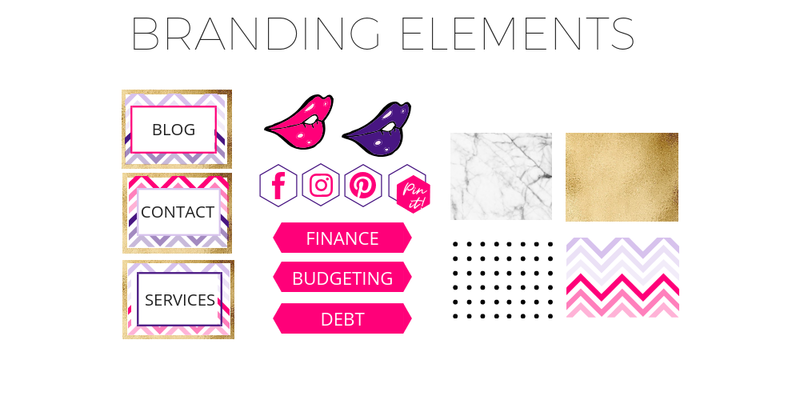 I created these brand elements straight in Canva however Creative market has a ton of Branding kits to choose from! Check out some brand kits from Switzergirl on Creative Market! This is your brand's style. This is the taste that you want your brand to encompass. These images are here to help set the mood (pun greatly intended). What colors must be in these photos, will they be lifestyle photos or flatlays. What props will always be in your photos. If you are not photography savvy, stock photos will help you create a consistent brand. These images came from the Purple and Pink Boss Babe Collection at She Bold Stock! Click here to see the Ultimate Guide to Stock Photography! This is optional but a great way to add a human touch to your brand. You can use these anywhere you like such as the closing of an email, blog posts, even quotes. By keeping your brand consistent you are presenting a professional, trustworthy, and authentic brand that caters to your target audience. 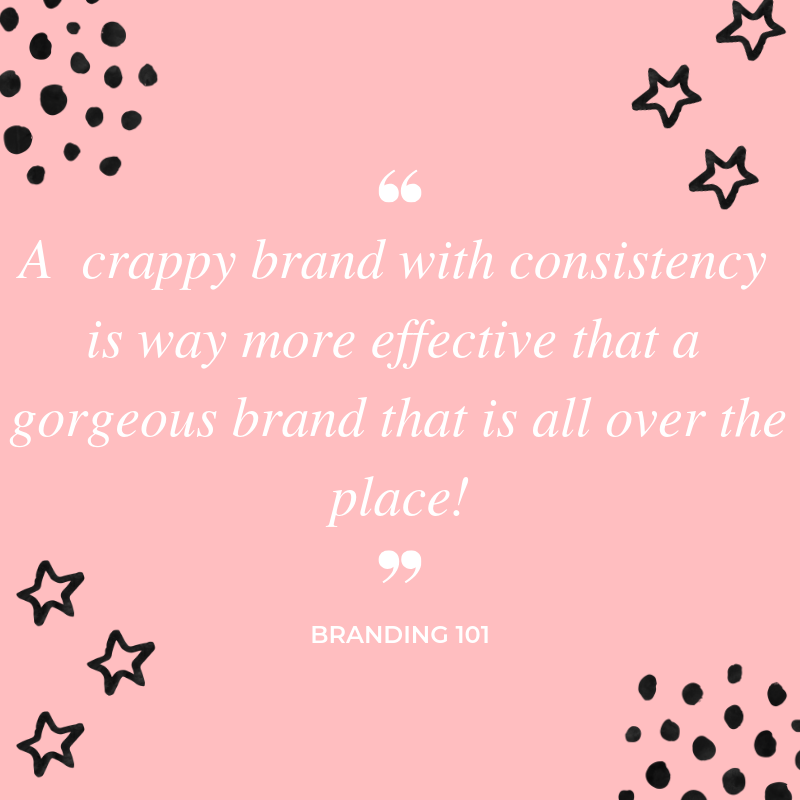 A consistent brand is a successful brand....PERIOD! Have trouble with your brand style guide? Ask questions in the comment below! Would you love to see some branding kits in my upcoming shop, let me know what kind?! I love how into detail you go about color and fonts. Definitely something I'll consider in future brand materials I create!